Happy Hour at Balu's Bar from 18.00h to 19.00h! 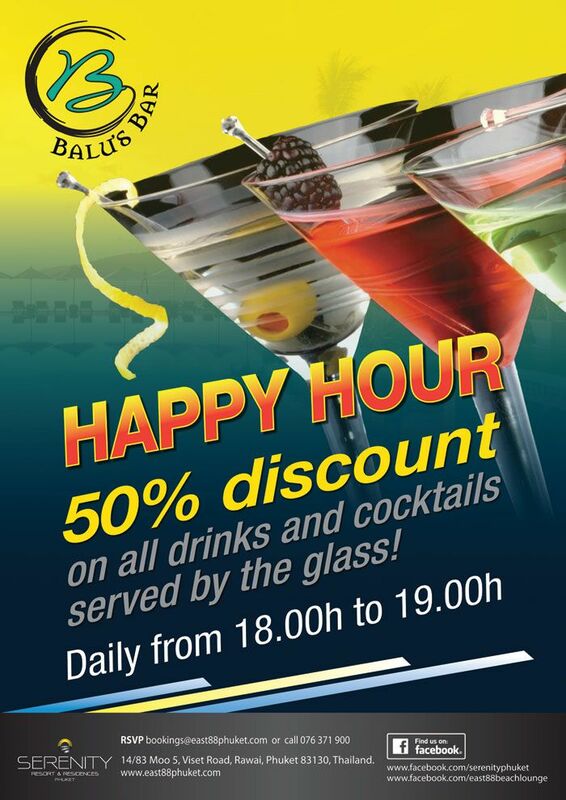 Enjoy 50% discount on all drinks except bottles at Balu's Bar everyday from 18.00h to 19.00h. Want to join one of our events? Like to book a table? Contact us here!